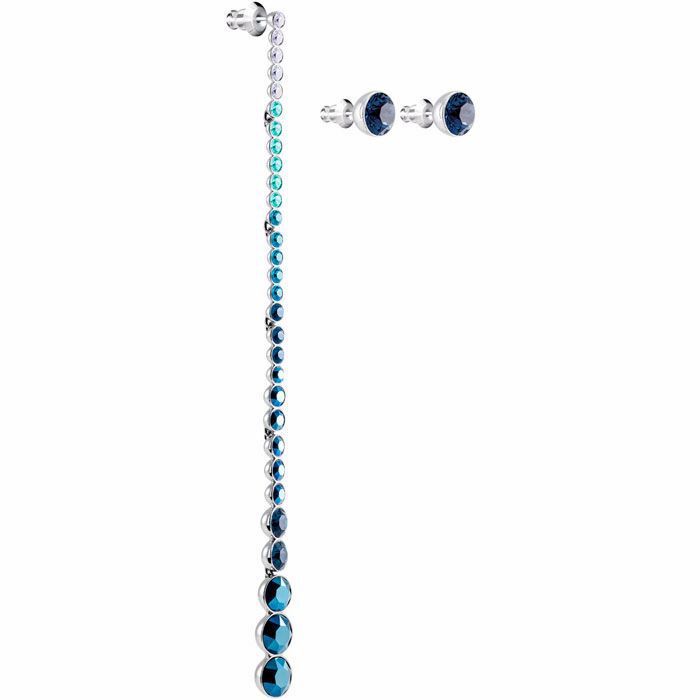 Contrasting rhodium-plated metalwork and cool-colored crystals in blue tones unite to create this gorgeous pierced earring set. Featuring two studs and one long-length design, they will add a glamorous twist of fluidity and sophistication to your summer look. Rock the studs alone for laidback style, or wear a stud in one ear and the longer-length earring in the other for on-trend asymmetry. Matching items available.